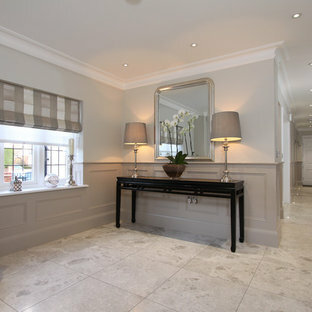 Your hallway, hall or landing is more than just a corridor to another room. It’s the perfect place to squeeze in extra storage, display your art collection, and can even be transformed into a quiet spot for reading. 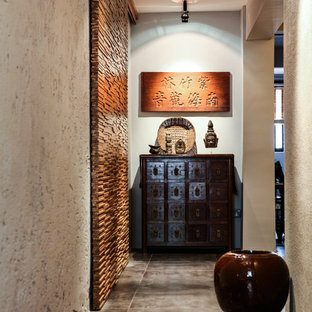 Whether you have a narrow hallway, curved hallway or one with a sharp turn, there are plenty of opportunities for design and decor. Read on to find out more. 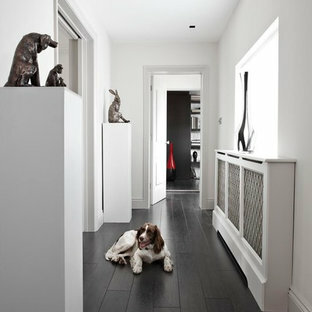 If you have a small home, utilising the hallway as extra storage is a great way to save much-needed space. 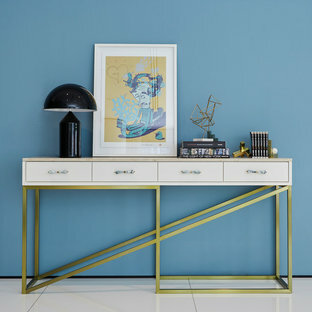 To avoid narrowing an already small space, don't incorporate full-sized furniture – a hall table, for example, will only make the space feel cramped. 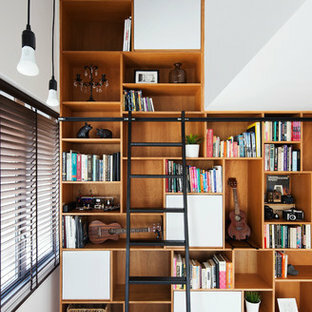 Instead, add built-in bookcases, wall-mounted shoe racks, an umbrella stand, or hooks. A simple floating console and shelves are ideal for keeping floor space free of obstacles, too. 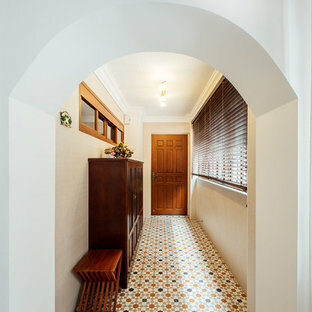 If you have a wide and spacious hallway, turn the space into a multi-purpose room. Add floor-to-ceiling bookshelves and a hallway runner for the cosy allure of a library; or add seating and line the walls with curated art for a spot in which to relax. This will ensure your hall isn’t just a beautiful space, but a destination, too. 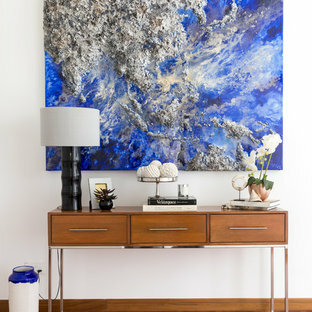 Use shadow boxes and art shelves to display quirky, small accessories, but try to rotate them out occasionally to keep it fresh and interesting. Wall space is key, but don't forget about your ceilings and floors as well. 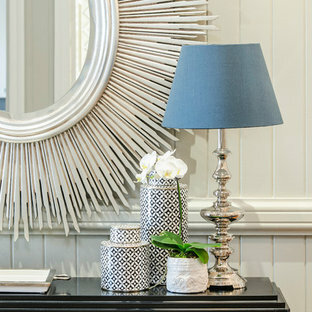 Ceiling lights, chandeliers or wall sconces can act as additional decor, while adding a hallway runner is a quick and easy way to add colour and pattern to a traditionally all-neutral space. 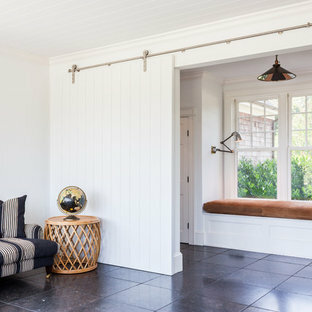 Also remember, the most successful hallway designs will always draw the eye to a focal point – ideally at the far end of the room, so as to create the illusion of more space. Mansfield Street, a private development in London, joinery manufacture & installation of contemporary and traditional interior and exterior. 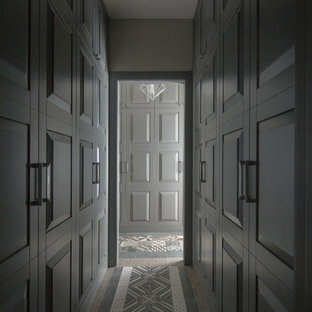 Panelling, skirting, dado rails, architraves, partitioning, internal door manufacture and renovation by Ark Joinery Project. Also completed by us: Partitioning, Bathroom installations, plumbing, lighting and electricals. By L. Lumpkins Architect, Inc.
Upper Stair Landing and Hall. Art work by Melissa Auberty Photography by Michael Hunter Photography.